To receive, consider and approve the 2018 financial statement and auditor’s report. 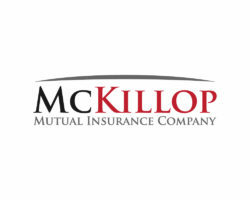 The statement will be available on the Company’s website at www.mckillopmutual.com and a member may request a copy by contacting the head office in Seaforth, Ontario at least 14 (fourteen) days before the Meeting. To appoint Auditors for 2019. To elect two qualified Directors for a term of three years. Any qualified member wishing to seek election must file his or her intention to stand for election in writing with the Secretary of the Company at least 21 (twenty-one) days in advance of the Annual Meeting. Our mission is to provide quality service at reasonable and competitive rates, while maintaining a sound financial position for our policyholders.